i don’t know if you noticed but according to my welsh corgie puppy calendar, the 4th of july is coming up. more importantly, it’s also our one year anniversary. 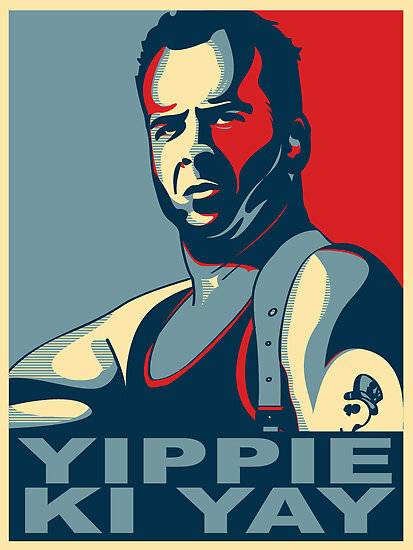 and for such glorious occasions, we will pay homage to the most american movie icon of our generation: john mcclane. not that we will deviate from our mission to rewatch classic movies and write about how great they are (though it’s probably in the patriot act that you have to watch die hard 1-4 at least once a year). 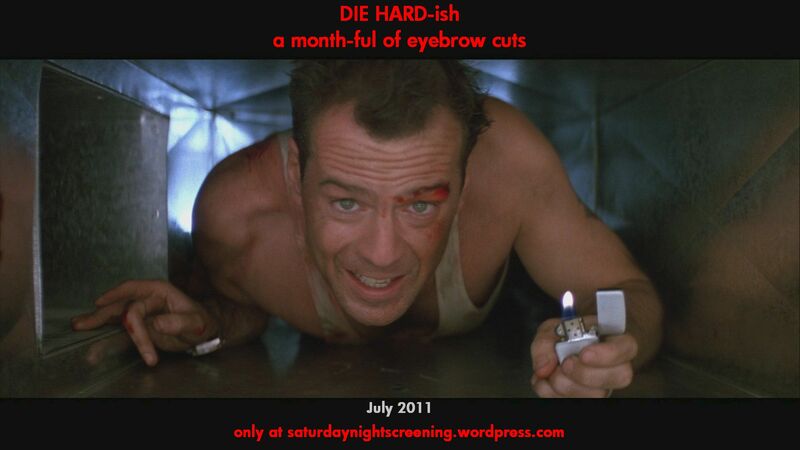 instead, we’ll focus on the die hard on/in/at a ____ movies. with every other 90s action movie being a die hard ripoff, we’ll have to spend a whole month on it. like a lot of other movie blogs, we did a month of horror movies last october for halloween, it turned out ok but i don’t think any of us are really huge scary movie fans unless, you count the room or the happening. so i think this one is going to be better. there were a lot of candidates that more or less fit the die hard ripoff theme, but to narrow down the number of movies, there are a few rules: most in the sci-fi/horror genre is out. so no ghost ship or event horizon or virus. it has to be somewhat considered to be an action movie, not just a movie that takes place in one setting. so deathtrap or lifeboat are out. as usual, we’ll focus more on movies none of us have seen and the obscure rather than the obvious, the flops rather than the hits. so we may not get to the under sieges, the rock, con air, cliffhanger, air force one, executive decision, passenger 57, or sudden death. like vern did in seagalogy (how lucky for seattle to have both vern and us, oh yeah, i guess jimi hendrix and kurt cobain and bruce lee too), at the end of each movie, there will be a quick matchup of the crucial elements that made the die hard series and john mcclane an american icon. 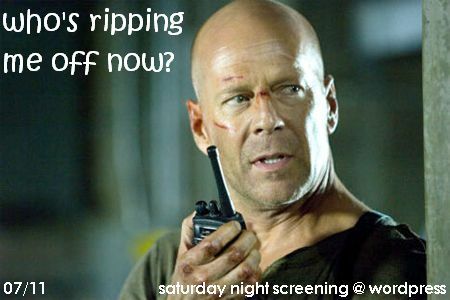 feel free to send this page to your friends as we would love to hear any movie suggestions of die hard ripoffs that you love and/or think we should watch. as always, you can reach us at saturdaynightscreening@yahoo.com or our facebook group, or add us as friends. Thought of some Die Hard ripoffs for you! : Lethal Tender, Crackerjack, No Contest, and my personal favorite: Skyscraper: “It’s die hard in a skyscraper….”…oh wait. Plus the final hour or so of Hard Boiled. Fair Game – with William Baldwin and Cindy Crawford, a guilty pleasure of mine. Advertised as “Die Hard with a legal twist”. Command Performance – with Dolph Lundgren, “Die hard on a rock concert”. Assault on Dome 4 – with the legendary Bruce Campbell, “Die Hard in Space”. If I come up with more, I’ll drop a word. thanks everyone! looks like i can actually get my hands on some of these. were they trapped anywhere in fair game?